The 2016 Toyota Tacoma TRD Off-Road has earned recognition as the Peterson’s 4×4 of the Year. It beat Renegades, Rebels, and Rovers to take home the prize. For those who love the Toyota TRD Off-Road editions, this isn’t a huge surprise. Toyota’s 4×4 prowess has grown with each passing year. For a true adventure machine, check out the 2016 Tacoma TRD Off-Road at Gloucester Toyota dealer serving Newport News VA. The Tacoma TRD Off-Road was put to the test over 1,000 miles of trails and tough terrain. It had to show its prowess in sand, gravel, mud, and rocks. The TRD Off-Road has multi-terrain select that allows you to regulate wheelspin with the turn of a dial. It gives this truck more traction by changing sensor settings to match conditions. Learn about pricing. If you need to crawl, the TRD Off-Road’s Crawl Control can help you handle the toughest challenges. It has five low-speed settings that will modulate your throttle and brakes. When sand is giving you the slip, the electronically controlled locking rear differential evens out the power to the rear wheels. This ensures they move at the same speed, getting more grip to move the truck forward. The new four-wheel drive transfer case is lighter, more compact, and more efficient. This allows it to switch more easily between three settings: high-range 2WD, low-range 4WD and high-range 4WD. Again, the help is there at the turn of a dial. If you want a fun truck, check out the 2016 Tacoma TRD Off-Road. 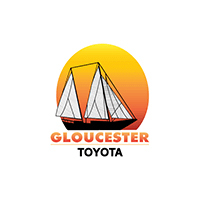 Value your trade at Gloucester Toyota dealer serving Newport News VA.